KANSAS CITY, Mo. 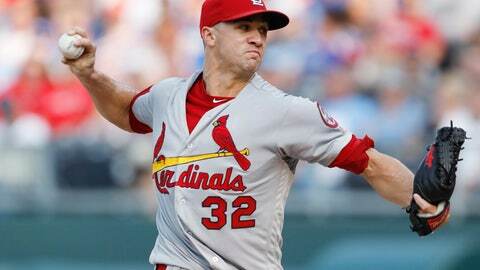 (AP) — Jack Flaherty got a lift from St. Louis’ lineup, and the rookie right-hander made the most of it. Marcell Ozuna tripled home Martinez and scored on Paul DeJong’s double. Jedd Gyorko’s RBI single, St. Louis’ fifth straight hit, made it 4-0. Alcides Escobar hit a two-run homer in the fifth for Kansas City. Escobar, who reached three times, also scored in the eighth on Dakota Hudson’s wild pitch.